Navjot Singh Sidhu was the only Indian dignitary present at Imran Khan's oath-taking ceremony on Saturday and was spotted hugging General Bajwa. The Congress leader had a conversation with the Pakistani military leader at length and discussed many issues with him. 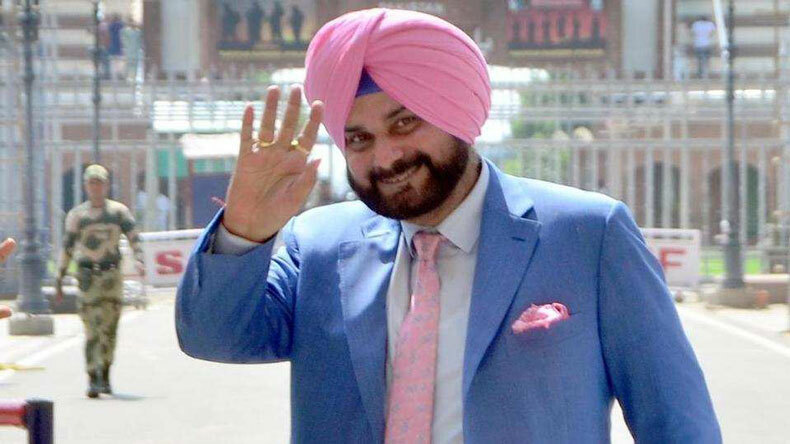 Former cricketer and Congress leader Navjot Singh Sidhu drew much flak from his countrymen for attending the oath-taking ceremony of Pakistan Prime Minister Imran Khan on August 18, Saturday. Nevertheless, the Indian politician appeared upbeat during the ceremony in Pakistan and was a man with a song in his heart after the event was concluded. After the ceremony, Sidhu talked of the enormous love he received in Pakistan, encouraged the Indian government to take peace talks a notch up, opening of Kartarpur route and more. The Punjab cabinet minister further revealed that he had more fruitful talks with the Pakistani military general. Sidhu told media that General Bajwa told him that Pakistan is pondering over opening the Kartarpur route on the 550th birth anniversary celebrations of Guru Nanak Dev. “I brought a message of love from India to Pakistan. Whatever love I brought here, I am taking back 100 times more than that,” added Sidhu. Sidhu was the only Indian dignitary present at Imran Khan’s oath-taking ceremony on Saturday and was spotted hugging General Bajwa. What created a storm back in India was that Pakistan made Sidhu sit adjacent to the President of Pakistan occupied Kashmir (PoK) Masood Khan. Jammu and Kashmir Congress chief Ghulam Ahmed Mir criticised Sidhu for sitting next to the Masood Khan. He said that Sidhu is a responsible person and a minister. “Although only he can answer why he did not object to sitting next to Masood Khan, but yes he could have avoided this situation,” added Mir.